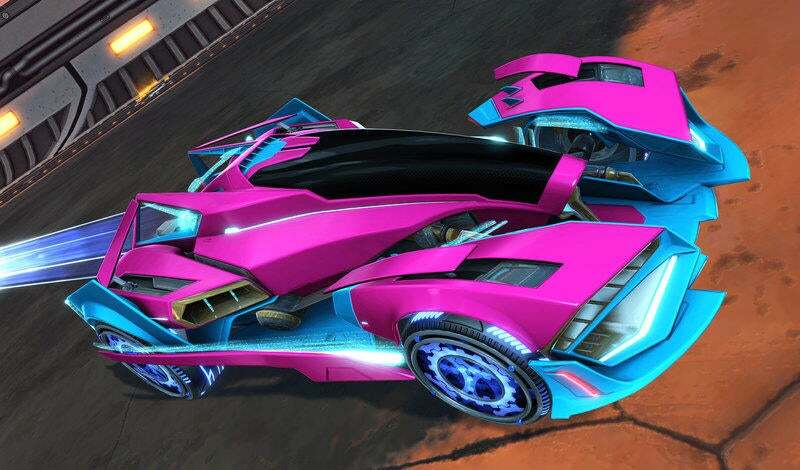 The Rocket League Championship Series (RLCS) Season 6 World Champions have been crowned and there’s no doubt that players have been hit with a new wave of post-"LANVegas" inspiration. With everything on the line, Rocket League Esports has been a consistent source of on-field excitement, so let’s take a look at what makes a play memorable (and how we can make our own unforgettable moments). With practice comes perfection... or at least the hope that you’ll get there, someday. Instead of worrying about making every play perfect, though, you should first focus on taking advantage of the situation. Do you have space and enough boost to take the ball off of the wall for a ceiling shot? Drill yourself with the “= CEILING SHOT =” pack and you’ll be sure to catch your opponents off-guard. Pinging the ball off of the wall like in “Backboard Clears” helps you send a long clear that can not only gives your team time to rotate, but also sets up passes from across the arena. 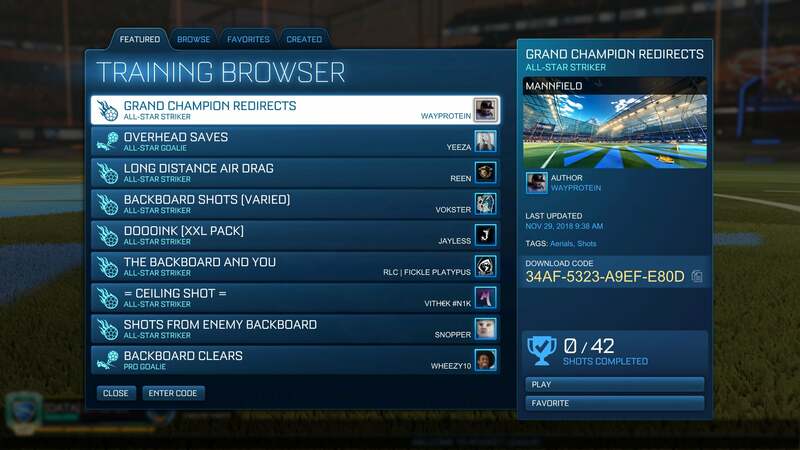 If you’re up for a challenge to test your abilities on the spot, then the “Grand Champion Redirects” pack offers a perfect selection of fast and difficult passes to knock into the back of the net. 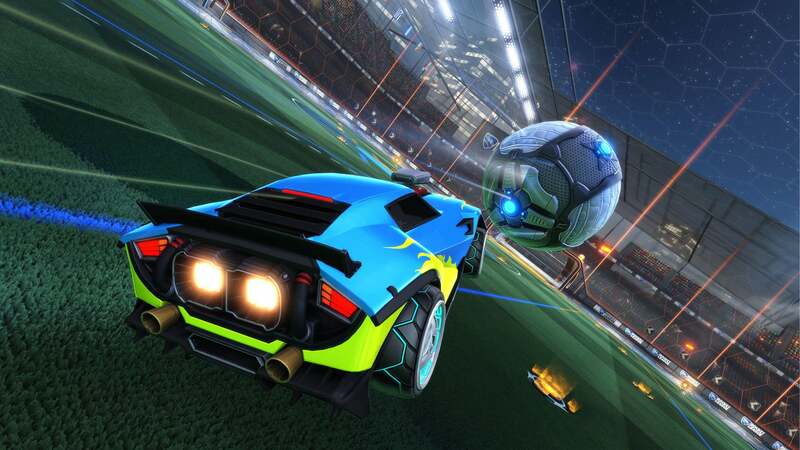 It takes a lot of practice to recreate some of the most memorable moments and some of us may not be able to, at first, but you never know when you might recreate a play from some of the most epic moments in Rocket League Esports history. Boost over to last month’s Community Spotlight to find a Custom Training pack that fits your style! Which Cuts Make the Highlight Reel? In most cases, it’s the outrageously high-skill maneuvers that will never be forgotten; much like Mariano ‘Squishymuffinz’ Arruda’s ceiling reset shot during the RLCS Season 4 World Championship Lower Bracket Finals. Looking back a bit further, Kyle Mascitelli created one of the first defining moments of Rocket League Esports when he sank a zero-second buzzer-beater to defeat Cosmic Aftershock in the 2015 MLG Tournament Grand Finals. Typically, we more easily remember the insanity and creativity of a shot; much like one of the first aerial dribbles ever performed in a competitive match, when Cameron “Kronovi” Bills scored this shot against Kings of Urban (or even some of Linus “al0t” Möllergren’s insane redirects). But it’s not always about the goal itself, as a demolition like Garrett “GarrettG” Gordon’s, can pave the way to a game-winning play. So what leaves an imprint that we’ll never forget? Creative new shots that we’ve never before seen at such a high level, clutch goals to win it all, and a perfect demolition to clear the way! Do you think we’re missing something? Check out FluuMP’s list with some of the most iconic goals for some more high-octane clips. 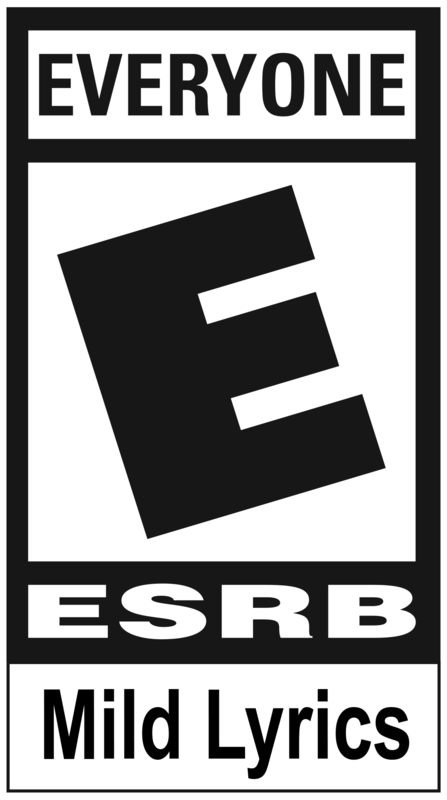 What’s your most memorable play? 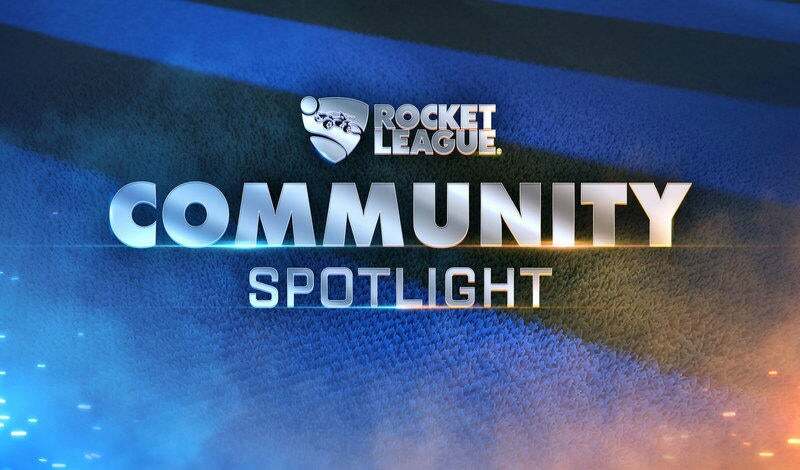 Share it with us on Twitter or the subreddit and maybe you’ll be featured in the next Community Spotlight!